Conflict is a normal and natural consequence of human interaction. It may be uncomfortable but we need to know how to manage it, particularly when conflict arises with our students. Most of the time, positive conflict management and resolution skills result in positive outcomes. Conflict can create balance, stability, and effectiveness, or it can result in a disaster. Management is key. Let’s explore five strategies for effective conflict management and resolution. Strategy 1: Separate the person from the problem. This strategy requires self-control, the ability to listen, and a focus on building relationships rather than ‘winning’ or proving the other person wrong. Strategy 2: Focus on the issues, not intent or personal position. Strategy 3: Generate a variety of options. 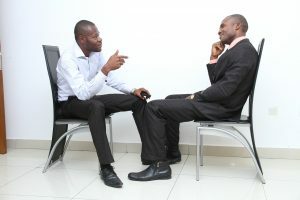 Finding out more information about the situation almost always results in better conflict management. Being ‘heard’ is often the first step to resolution. Strategy 4: Base agreement on objective criteria. Creating objective criteria helps everyone to focus on the results, not the people involved in the conflict. Strategy 5: Prepare for failure before it happens. Conflict should be dealt with as soon as possible. It should not be left to fester from week to week. When all parties in the conflict are highly emotionally engaged, it may be a better idea to step away from the situation, pause, and then reconvene for continued discussion once the heat of the moment has passed. Participants in conflict should be encouraged to resolve conflicts on their own, but should have a strategy and resources handy if necessary. Conflict situations can be a learning experience for students and a way for teachers to set the bar high. Much conflict can be avoided by creating norms and acceptable behaviors standards prior to an incident occurring. These types of standards allow a teacher to navigate the conflict conversation successfully. It is much easier to reflect on a situation when teacher and student are able to focus on the underlying standards and expectations already in place, than when the conflict appears to be a personality issue. Conflict shouldn’t simply be a response to a bad situation; instead, it should be the beginning of a process that leads to resolution.